Associates are men and women who, according to their particular way of life, are committed to the mission of the Sisters of St. Joseph. 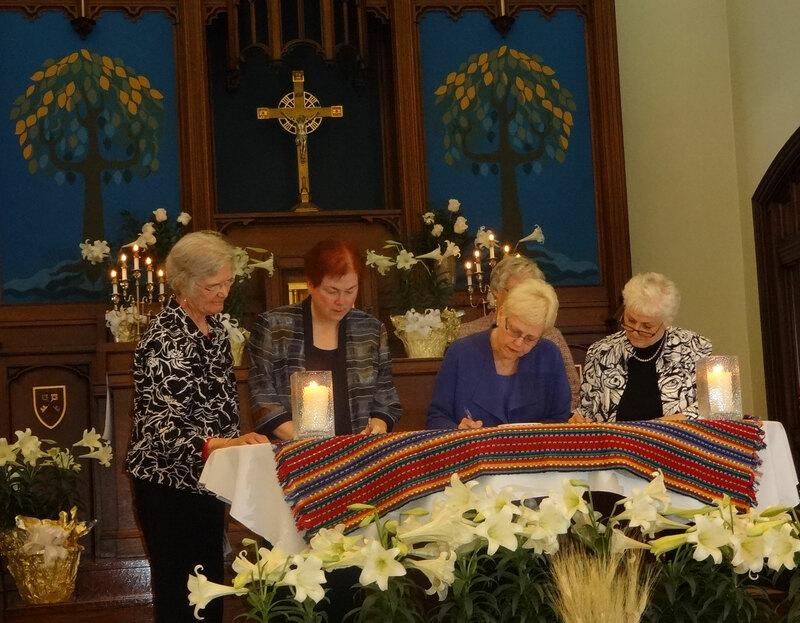 They enter into a covenant to live simply and choose ministry with or without focus on the mission of the Sisters of St. Joseph. The path of an associate opens opportunities for those drawn to be a loving presence to the people in their lives. They devote themselves to seeking God and finding God in the neighborhoods in which they live and move, as well as in their relationships with other members of the community. An Associate candidate is accompanied on the formation journey with the Associate director, mentor(s), Associate companions and members of the Community of St. Joseph. During the preparation period, one becomes familiar with the charism, spirit, mission, ministries, spirituality and history of the community and has opportunities to get to know members. After prayerful reflection, if the candidate chooses a life of loving service to the dear neighbor, (chooses to move forward) he or she makes a personal Covenant of Association which takes place in the presence of members of the Community of St. Joseph.